Aya Ring. is currently out of stock, however this piece can be specially hand made for you in 4-8 weeks after your online order has been completed. 8 diamonds, set into 9k white gold. If not in stock, this piece will be specially hand made for you in 4-8 weeks. 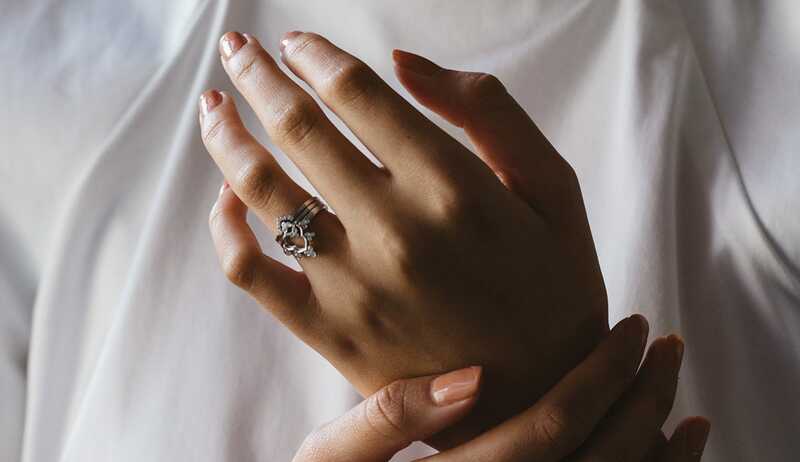 Inspired by the Moroccan door frames, this delicate ring is a beautiful on it's own, or as a centre piece with our Petal and Zahra rings.